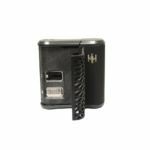 The Haze V3 is a portable vaporizer made by Haze Technologies and to put it simply, it’s one badass piece of equipment. 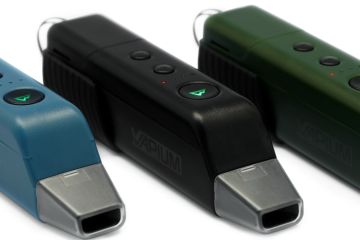 Easily one of our top 3 portable vaporizers. Let’s start with a few of the high notes. First, it’s super versatile and can be used with both dry herbs, e-liquids, oils and wax concentrates. Second, it comes with a unique dual-chamber design, such a smart feature, especially when you vape as much as I do. Nobody likes to stop after a session, clean out the chamber and pack it again. 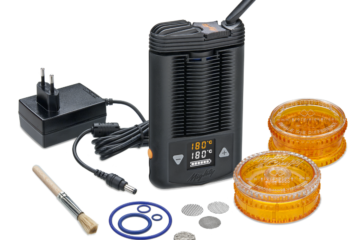 The haze vaporizer offers both conduction and convection heating for dry herbs and you can use either the included “cans” or the screens in each chamber. The conduction chamber seems to really let you blow big clouds There are four dry herb settings at approximately 365F, 380F, 390F, and 415F, and concentrates may be used at the two highest settings. 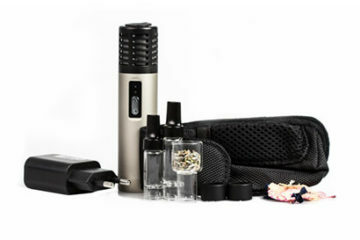 The Haze V3 Vaporizer is $250 and comes with a glass and a stainless steel mouthpiece along with conduction and convection screens, concentrate and dry material cans, two rechargeable batteries, a battery charger, as well as cleaning and material tools. 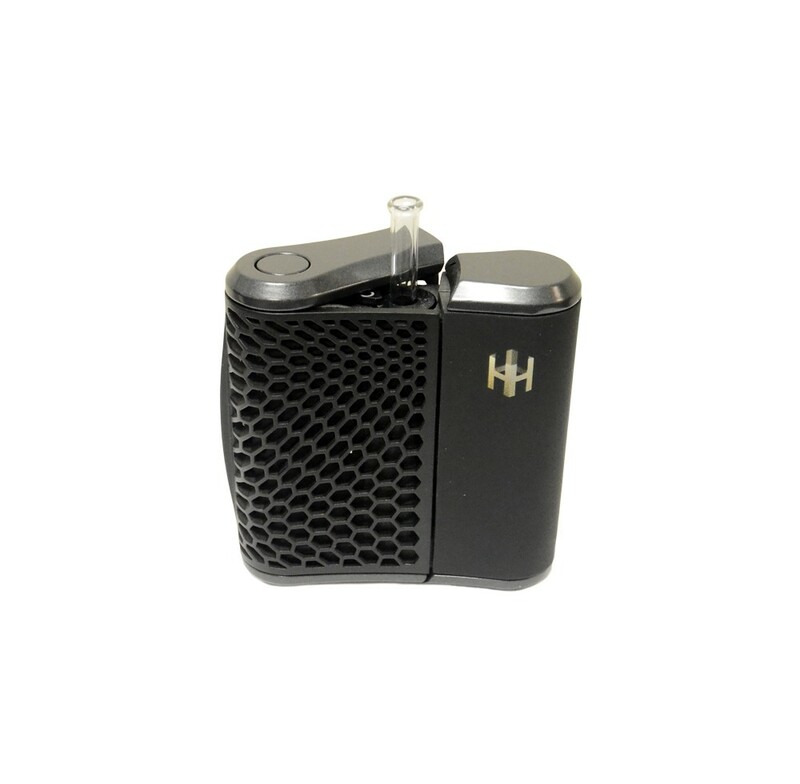 The Haze V3 Vaporizer is a rugged piece of equipment made from steel and reinforced fiberglass. 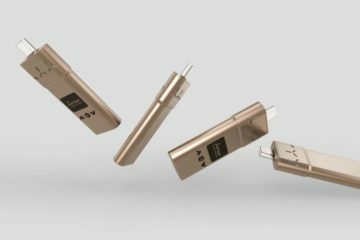 It’s shaped like a flask, fitting comfortably in your palm or pocket, and comes in at about 3.2 inches x 3 inches x 0.8 inches in size, weighing about 6.8 ounces. It also has stainless steel components that keep its moving parts securely locked in so you don’t have to worry about the chamber, battery door, or mouthpiece coming loose while carrying the Haze V3 in your pocket or in a bag. The mouthpiece, either stainless steel or glass, has a top lip which makes it easy to adjust its position during use or to remove for cleaning. This top lip also prevents the mouthpiece from becoming stuck or lost inside the main body of the vape. Another cool feature of the Haze is the heating system, which isolates itself from the main housing, allowing even and reliable temps no matter what temperature it is outside. A big plus for vapers who live an active lifestyle. It also comes with three dry herb screens, yet another nice feature that helps customize your vaping experience. 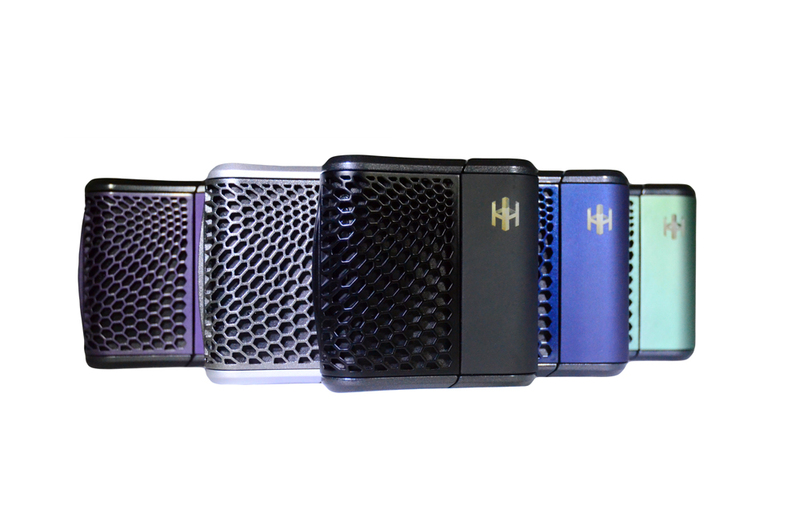 The Haze V3 boasts a simple, compact exterior that comes in metallic purple, green, blue, black, and grey. On the outside, four LED lights for each of the four temperature settings letting you know what temperature setting is being used allowing for ease of use. As previously mentioned, the Haze V3 has two chambers that are separated from one another by stainless steel walls that allow each chamber to heat up at different temperatures. Reaching the desired temperature takes anywhere from 60 to 90 seconds, and once the desired heat is reached the Haze V3 will use built in heat-exchange mechanism that will produce cool vapor output. There’s a simple little lever type thingy that lets you switch between each chamber. The v3 model doesn’t have too many improvements over the previous v2.5 version, and honestly that’s because the previous version was pretty darn good. One annoying aspect they fixed however was the glass stem, which they added a lip to prevent it from sticking inside the unit. Each of the two chambers can each hold about 0.2-0.3g and they heat up individually – so you can load both at once and save yourself the trouble of packing a new one after the first is cashed. The conduction screen leaves two walls open to allow for dry materials to have controlled exposure the the high temperatures, while the convection screen has four stainless steel walls that prevent materials from having any direct contact with the heating chamber. When you buy the Haze V3 you are also given dry herb and concentrate cans that you can prepack whenever you are on the go. This portable vaporizer has good battery life thanks to the two 2600mah batteries that come with it. One of these batteries will give you 60 to 90 minutes depending on the heat, quality of the grind, or whether you’re using dry herb or concentrate. And it’s nice to know you have a second batter on reserve in case one goes bust mid-session. On average you can get a good four to six 10-15 minute sessions out of each battery. The Haze V3 also has a 5 minute auto-lock feature in order to keep from wasting any battery life. 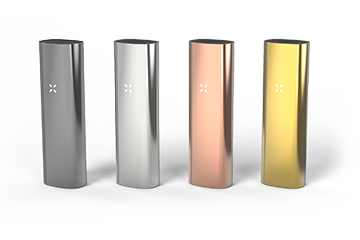 If you are looking for a good portable vape, the Haze V3 Vaporizer might be for you. Both the flavor and vapor production were top notch, and the Haze V3 is definitely a cut above the rest, especially at this price. It does especially well with concentrates, making them last and last. 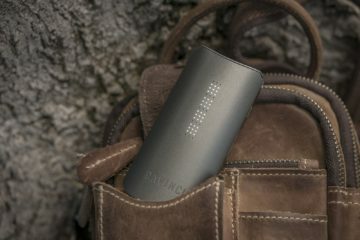 The company also has a “pay it forward” program, where you can donate your old vape and Personally I’d choose it over both the Pax and Firefly. 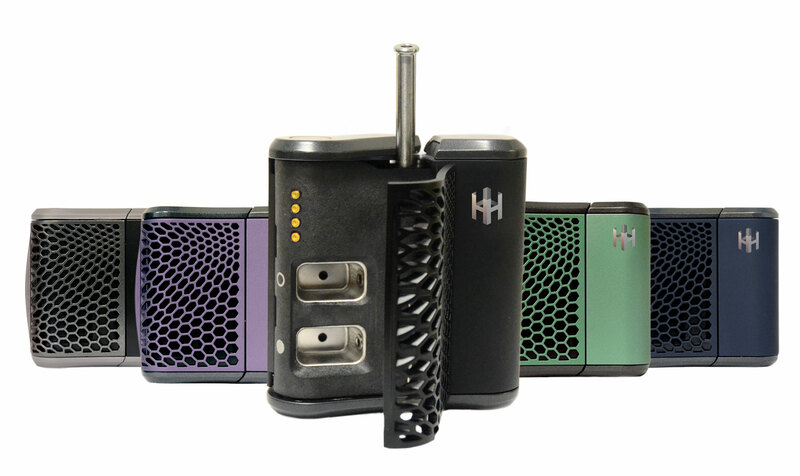 The Haze V3 provides a lot of options and variety allowing you to personalize your sessions when you use the vape. Additionally the dual chamber offered by the Haze V3 is unique and the 10 year warranty provided by Haze Technologies is hard to beat. 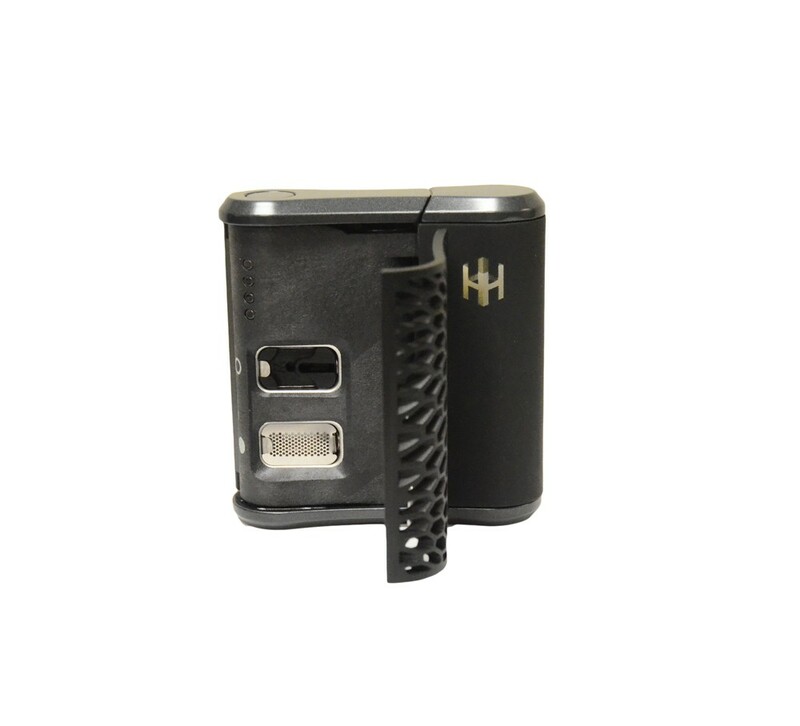 If you are looking for a good portable vaporizer with good battery life then the Haze V3 might be for you. While it may not have some of the fancy features like an iPhone app, the Haze V3 shows plenty of versatility, allowing convection/conduction options and the ability to easily vape concentrates, wax, dry herbs and ejuice.